As Donald Trump's first year in office comes to a close, the societal frenzy that emerged during the 2016 election hasn't slowed down. As scandals continue to unfold at 1600 Pennsylvania Avenue and more officials are indicted, it seems that the current administration cannot step out of the spotlight. Saturday Night Live has taken great inspiration from the current political climate and has turned it into comedy gold, earning themselves 22 Emmy nominations and 9 wins. Alec Baldwin isn't the only person getting a kick out of portraying Trump; it seems the public loves to dress up as the current president as well. Election years always lead to an increase in political Halloween costumes, but with the on-going controversies around the Trump administration, Halloween costumes of the 45th U.S. president are still popping up everywhere. Many people love to create over-the-top Halloween costumes, and they definitely didn't let us down with their costumes of the president. 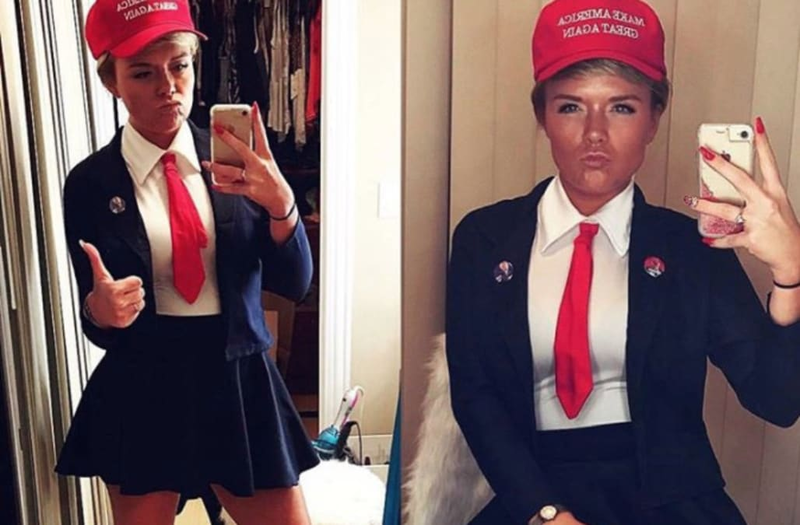 When it comes to dressing up as Donald Trump, people have many different interpretations, and we've searched the web to bring you some of the best Trump costumes this Halloween has to offer.